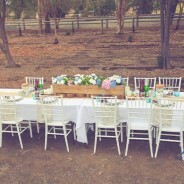 Australian Wedding Reception? Who sits on the Top Table? Home Wedding Etiquette Australian Wedding Reception? Who sits on the Top Table? Posted by Liz Hayes on May 4, 2018 in Wedding Etiquette | Comments Off on Australian Wedding Reception? Who sits on the Top Table? Wedding Etiquette…. Who sits at the Top Table for an Australian Wedding Reception? There are some British Wedding Traditions that seem to have been superseded in Australia, by more recent ideas from the USA. Many of these updated and newer ways are possibly more suited to our less formal approach to Weddings here in Australia however. For example, in the UK, the bride and her father (usually) would walk down the aisle, followed by the bridesmaids. Here in Australia, we tend to follow the American style of bridesmaids first, with the bride following. If, however, the bride has a long train or veil, it can still be a good idea to have at least one person walking behind to make sure the train doesn’t get caught on anything. I remember being the celebrant at one wedding, watching the bride and her father slowly and elegantly walking down the aisle towards me, when the bride’s head was suddenly yanked backward for no apparent reason! There was a shriek from the bride, followed by embarrassed laughter from the guests as it was realised that the long flowing veil had caught on a rough stone. However, the clips were so tight, that the veil stayed firmly attached – but the father got a real fright as his daughter suddenly seemed to flail away from him! Similarly, in England, a Top Table at a Wedding Reception is usually comprised of the Bride and Groom, along with both sets of parents, as well as Best Man and Chief Bridesmaid. In Australia, we tend to have the Groomsmen and Bridesmaids on the Top Table, with the parents seated with other guests. Now there are many reasons to make up your own rules around Formal Seating Plans. In days gone by, people married in the town or village where they had grown up. Families and friends all knew each other, so it didn’t really matter where you were seated – you wouldn’t feel lost. However, nowadays it’s not uncommon for a parent, or parents, to travel from the other side of the world for their son or daughter’s wedding. Imagine the feeling then, of being placed with strangers at an ‘outside’ table, whilst the offspring sit on the Top Table with their friends, who make up the Bridal Party. Quite often, this arrangement also means that partners of Groomsmen and Bridesmaids might also be sat on an ‘outside’ table with people they don’t know. So there might be merit in reverting to the traditional English style for this one? Every situation is different – so take great care with the Top Table seating plan… Getting this wrong is one of the main fears of every couple when planning the Reception. (It’s almost worth bringing in a Wedding Planner, for this reason alone!) 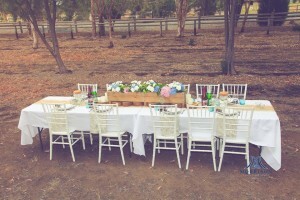 One of my favourite Wedding Planners in Perth would have to be Mardie & Co.
Of course another way to avoid this risk altogether, is to opt for a Cocktail Party or a BBQ style Reception, with no formal seating plans…. Your Wedding, the Australian Way! Liz Hayes on Bali Wedding Cost? How much is it? Depends what you mean, really…. salman ahmed on Bali Wedding Cost? How much is it? Depends what you mean, really….